Every shipyard has its own specialist distinction. Choosing the correct one for your project is essential and with more than 18 years of experience Lee Marine has worked with many of world’s most renowned yards. Tailoring your requirements and pairing them with the most suitable builder is our speciality. A custom-built super yacht is born from our client’s desire, passion and vision. At Lee Marine, our new construction team has the commercial and technical experience required to assist in the early stages of the design brief along with selecting the shipyard who will make the dream a reality. Creating this first important step is highly enjoyable and requires the imagination of the client, combined with the experience of our team, to ensure we produce a yacht that ticks every box. Lee Marine has close relationships with many of the world’s best design teams and naval architects. A common way to start the process is to look at design briefs with similar proportions and then creating a list of modifications that meet individual specifications. From there, with the design team pencil, we create a truly unique yacht specific to the needs of the client, all the time, being mindful of technical requirements as well as classification compliance. Our role is to work closely with the client and designer before entering the shipyard tender stage. In shipbuilding experience and industry reputation, Lee Marine remains highly regarded and valued by major shipyards and yacht designers worldwide. We offer impartial advice depending on the yacht size, construction method, desired quality, budget and delivery time. We ensure our clients feel comfortable and satisfied with the relationships formed at the shipyard, including, the financial health of the yard, location and quality of the previous builds we inspect. After this important process is complete, the commercial agreement is drawn up. Lee Marine assists in all facets of the contractual arrangement stage including details of the vessels composition, detailed specifications, general arrangement and project timelines. Your project manager will at all times act as a representative of Lee Marine to act in your best interests. At Lee Marine we are committed to responsibly bringing together all parties, whilst being the central team player to ensure that every element of the project runs efficiently and to the highest standards. Your project manager will be on hand long after the delivery of your yacht, to provide a secure source of independent information and service, allowing you to enjoy your life aboard at all times. Our delivery team plays an essential role to ensure the final product performs well in its sea trials and has reached a stage where it is ready to be received by the crew and owner. Our technical advisors and naval architects work in unison with the shipyard delivery team to ensure the specification is complete and working to the highest standards. Your yacht must meet her full potential and with our team we analyse aspects such as performance, range, consumption, vibration and noise levels to ensure the yacht is perfect. After which we are responsible for the agreed warranty period of the yacht, no matter where she may be in the world. 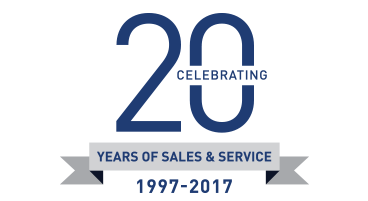 We believe, after sales service is the key to peace of mind and we ensure all parties live up to their contractual agreements.